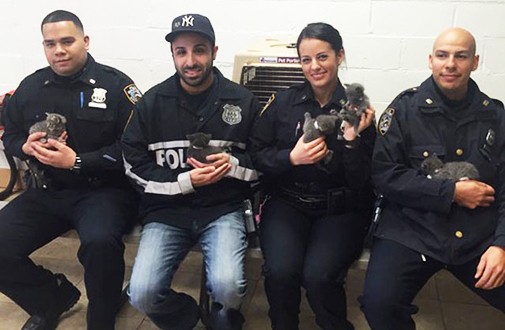 UPDATE 5/3/16: The ASPCA is excited to announce the adoption of three of the kittens who were rescued by the NYPD after allegedly being tossed away in a suitcase. 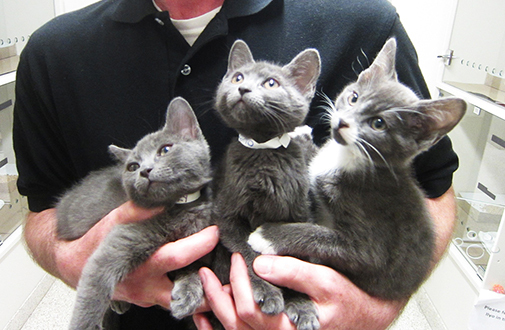 After spending several weeks at the ASPCA Animal Hospital, Apollo, Persephone and Ilyo are now living life to the fullest in their new, loving homes. 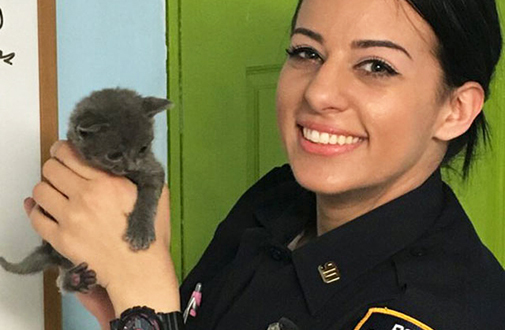 Officer Nicole Piridis of the 90th Precinct, one of the officers who responded urgently to save these kittens, fell in love with Apollo the moment she rescued him. 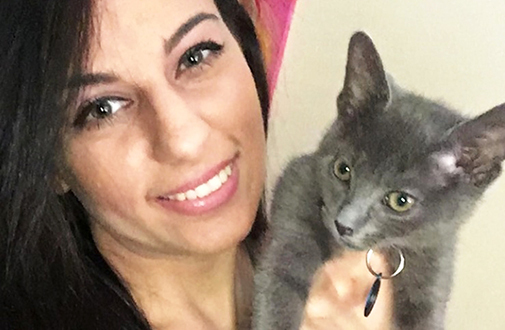 Her close friend adopted Persephone, and the third kitten, Ilyo, also found his new home shortly after. Two female kittens, Oxsana and Albina, are still receiving care at the ASPCA Animal Hospital and are not yet ready for adoption. This post was originally published on March 21, 2016. 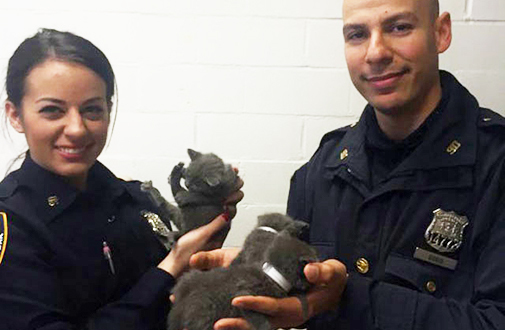 Earlier this week, the New York City Police Department (NYPD) stepped in to rescue kittens that had been abandoned inside a suitcase in Williamsburg, Brooklyn. A local citizen reported the suitcase, which she spotted in a parking lot, to the NYPD, who quickly responded. There were several kittens inside the suitcase—one of which was sadly deceased. 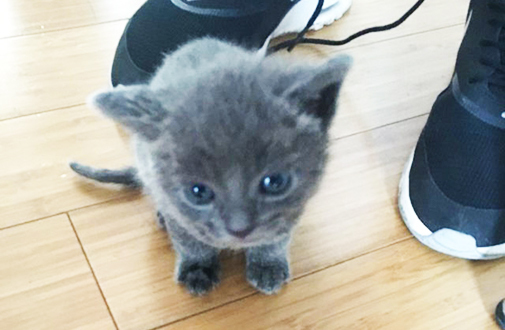 Another was suffering from ear injuries at the time of the rescue, and all remaining kittens were brought to the ASPCA Animal Hospital to receive much-needed care and attention. The NYPD will continue to investigate this case. If you are in New York City and see animal cruelty in progress, please call 911. For other animal cruelty-related issues, call 311. Please visit our Report Animal Cruelty section to find out how to report cruelty in other areas.